HOMES & LAND FOR SALE ONLY 40 MINUTES NORTH OF JAWBONE CANYON! HOMES FOR SALE IN INYOKERN, CALIFORNIA! A great place to relax and crash after a long day out in the dirt. Most homes in Inyokern California are on 2.5 acres. Others can be found on larger parcels of land as well. Ride in an open rural area at the base of the Sierra Nevada Mountains just east of Owens Peak where highway 395 and 14 meet! Ridgecrest and China Lake are in the immediate area as well. A great setting to play and work on dirt bikes and off road vehicles. Get 'em tuned up for the next day’s ride, or secure 'em until next weekend's outing. Inyokern is just 5 miles away from Indian Wells Valley & Five Finger Canyons, and other superb riding trails to the west and south! OFF-ROAD OPPORTUNITIES ABOUND! WHY CONTINUE TO CAMP? 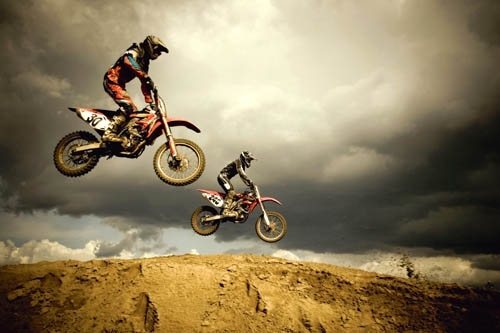 OWN AN INEXPENSIVE 2nd HOME ON ACREAGE, OR A PAREL OF YOUR OWN LAND IN THE MIDDLE OF THE OFF-ROAD ACTION!